What do you get when a Muslim feminist and a gay atheist go out for coffee? 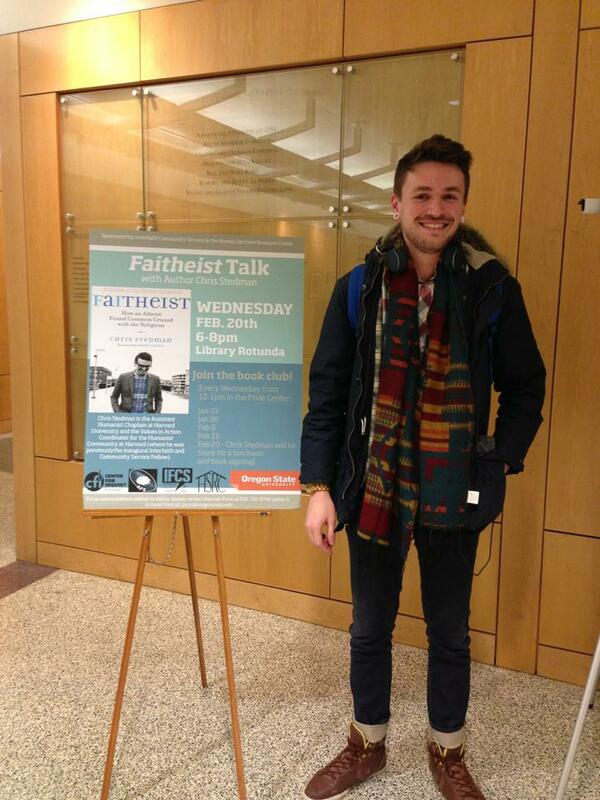 Chris D. Stedman, author of Faitheist, toured Oregon universities this week to talk about his book and his viewpoints. It was awesome to finally meet him (we’ve been following each other on Twitter for some time) and talk about interfaith activism (i.e., shop talk) over coffee. Thanks for coming by, Chris! Be sure to pick up his book when you get a chance. Posted in Extras on February 22, 2013 by Fatemeh Fakhraie.